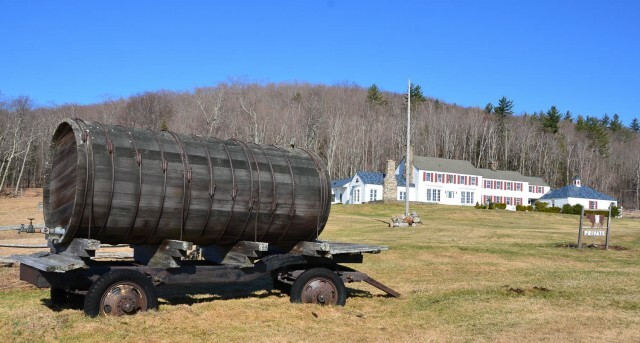 Antique maple syrup wagon in front of Heaven Hills Farm in Lake Placid, NY. The Great Maple Syrup Caper of 2012 brought worldwide attention to a little known major industry. Quebec, which produces up to 80 percent of the world’s maple syrup, was reputed to have 10 million pounds–valued at $30 million– of the golden liquid in the warehouse that was hit. 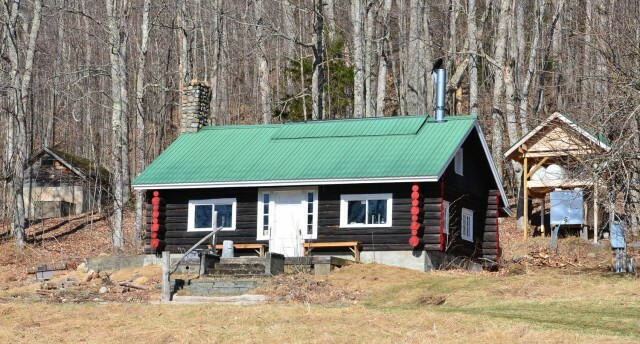 The New York Maple industry isn’t yet on that scale, but it could be someday if Mike Farrell, director of the Cornell University Uihlein Maple Forest and Extension Center at Lake Placid, NY, has anything to say about it. On a crisp spring day in late April, as the maple sugar tapping season was coming to an end, Mike Farrell introduced us to Heaven Hill Farm and the Cornell Maple Program as part of a familiarization tour to experience Lake Placid, “America’s Greenest Destination.” Our visit began at the turn-of-the century sugar shack once owned by Henry Uihleim and his wife, Mildred, on land that became known as Heaven Hill Farm. Turn of the century sugar shack once owned by Henry Uihleim on Heavenly Hills Farm in Lake Placid, NY. At one time, this was a 10,000 tap operation, drawing sap from over 5000 trees. But in 1965, Henry Uihleim turned over his business and 200 acres to Cornell University. Now with more than 3,800 taps over 240 acres, the Uihlein Sugar Maple Field Station is the largest acreage in the world devoted to sugar maple research and extension. 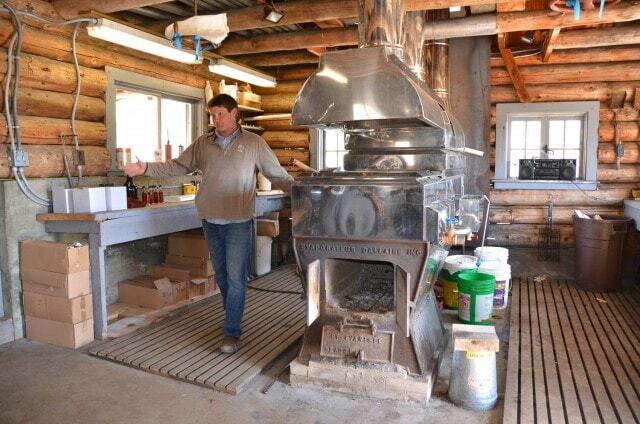 Inside Henry Uihlein’s sugar shack with Mike Farrell. Our group resumed the tour down the road at the Uihleim Sugar Maple Research Extension Field Station where large-scale modern machinery operated at full-throttle reducing sap to syrup. But to begin to understand the scale of advancement in the maple syrup industry, you have to see the maple trees. We followed Mike into the forest, where we saw an old metal sap bucket juxtaposed next to the new plastic bag system. 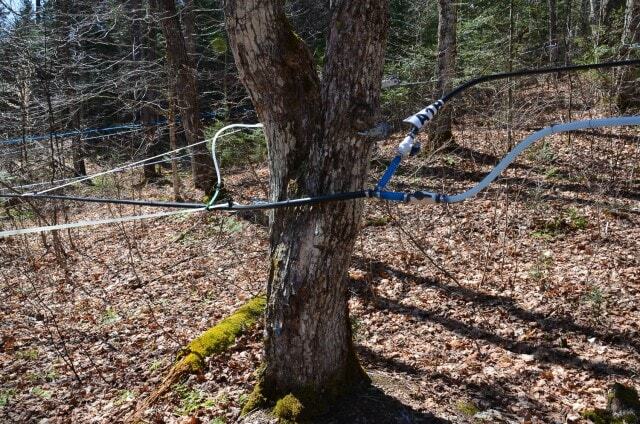 We were particularly impressed by the maze of plastic tubing used to collect sap from thousands of trees. 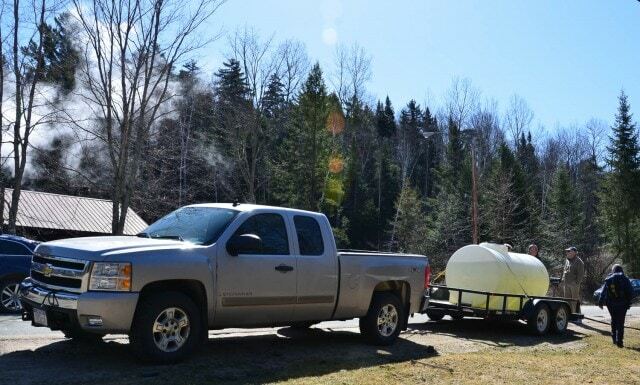 Trucking in the maple sap. The current value of Northern New York’s maple industry is more than $5.5 million, and yet a vast resource of sugar maple trees are untapped. 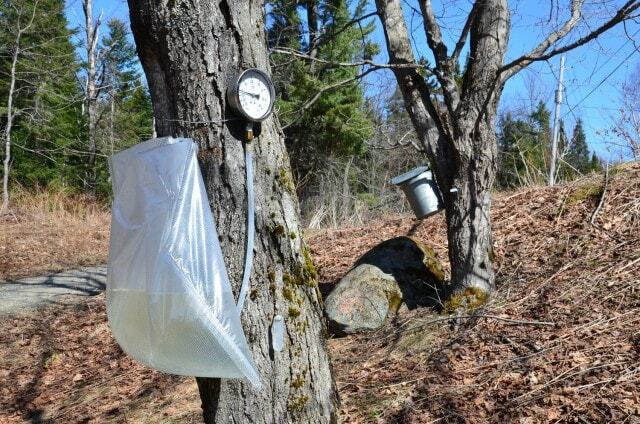 A number of initiatives are under way to encourage greater maple syrup production including research on better seedlings, tree lease agreements, and the development of new maple sap products–even tapping alternative trees such as birch. 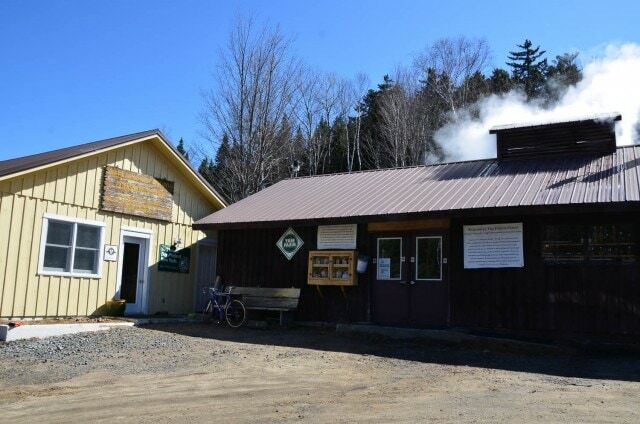 Even if you have visited sugaring operations before, it’s well-worth visiting this one. You will learn a lot about the science behind the “fastest growing agricultural economy in the United States.” Call to arrange a guided tour, or drop in for a self-guided tour, any time of year–not just during tapping season. And carry cash, the self-serve maple products cabinet is available anytime on the honor system. Call ahead to arrange a guided tour. To order Syrup, which helps support research and education, see the online ordering sheet. Want to learn more about the New York Maple Industry? 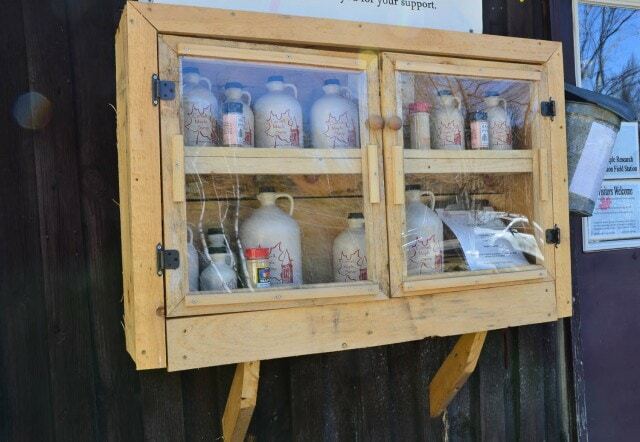 Maple Syrup in the Capital Region: Get Ready for Sugaring! Disclosure – This visit was arranged as part of a fam tour to Lake Placid that included meals and accommodations at the Golden Arrow Lakeside Resort.